Prime Minister of India, Shri Narendra Modi, interacted live with ‘Smart India Hackathon (SIH) 2019’ participating students at Lovely Professional University (LPU) Nodal Center. While addressing students at the ‘Grand Finale of SIH, via Video Conference, PM Modi interacted with different student groups on various themes such as agriculture, finance, malnutrition, and education. PM Modi shared with the students that Indian economy is growing rapidly, and the country is setting new benchmarks in innovation. PM Modi also shared that India is presently the third biggest ‘Start-Up’ nation and advised students to make this a continuous event than a mere annual one. Interacting with students, PM Modi asked students to find out solutions to two urgent problems of the society- (i) Real time integrated solution under proper information to home, school and police persons for the safety of children and women, while going out to schools/markets and coming back to home; and, (ii) to help small fruit and vegetable pedlars to have e-market type of home delivery on local level. Students assured PM Modi to keep on utilizing maximum of Internet of Things, Machine Learning, Artificial Intelligence, Information Technology, Robotics, Cloud Computing and more to solve out different societal problems. This occasion was world's biggest 2-day grand finale of open innovation mode 'Smart India Hackathon (SIH 2019)' competition organized at the LPU Campus, where participating students made innovative solutions, at the mega tech competition, for many technical problems being faced by the society. Competition witnessed continuous 36 hours’ result oriented brain-storming by near 250 students of 40 teams from across India. The event was organized by Ministry of Human Resource Development (Govt of India) with assistance and observation from AICTE and MSME. 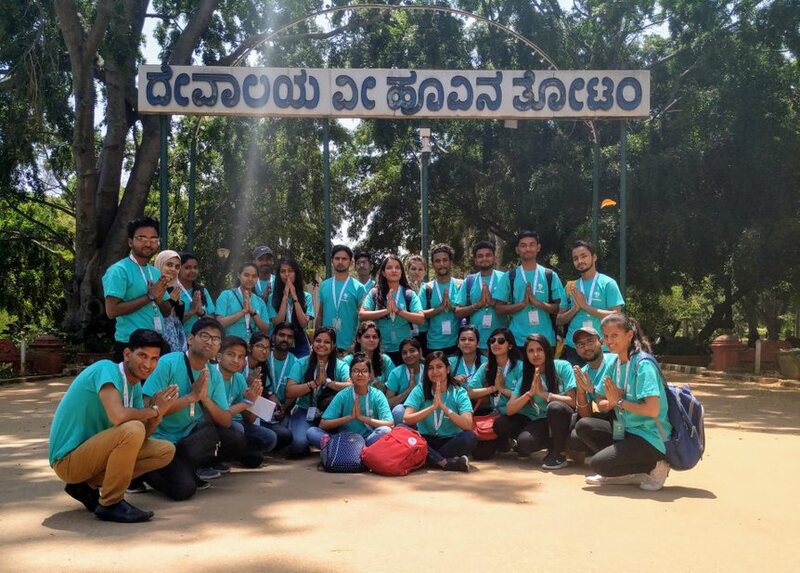 Three Smart teams of LPU students also participated at distant nodal centers established at top institutions of Bangalore, Telangana and Hubli (Karnataka). In fact, MHRD’s SIH is an initiative to provide students with a common platform to solve some of pressing problems people face in day to day life, and thus inculcate a culture of product innovation and a mind-set of problem-solving. This year, SIH 2019 included themes like Smart Communication, Smart Vehicles, Agriculture & Rural Development, Food Technology, Healthcare & Biomedical Devices, Clean Water, Waste Management, Renewable Energy, Robotics and Drones, Security & Surveillance, technology ideas in tertiary sectors- Hospitality, Financial Services, Entertainment, Tourism and Retail. Highlighting, this third edition of the SIH-2019 event had 50 lakh+ student applicants from 6000+ institutions from across the country. Students from IISc, IITs, NITs, Private Institutions including LPU and other AICTE/UGC approved institutions competed nationwide to creatively solve problems and offer technical solutions. I was held at 48 nodal centres across the country simultaneously. The grand finale saw more than 1,300 teams with six members per team, throughout the country, competing non-stop for 36 hours.